Beaded beauty! 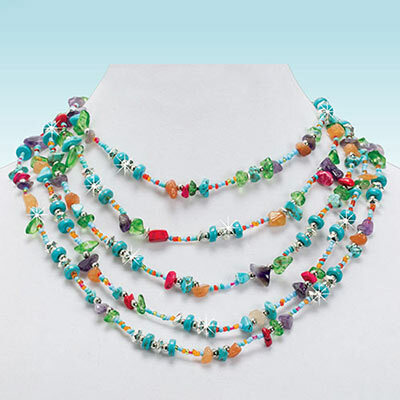 Layer on the charm with this four strand necklace designed with seed beads, silver-tone pieces and rustic stone chips. Handcrafted – each one is totally unique! 16"l with 3" extender.